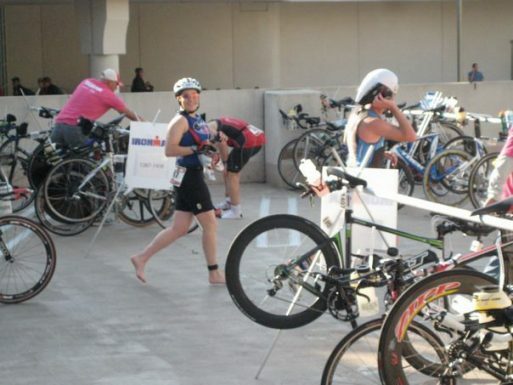 Nearly a decade ago, I started competing in triathlons. 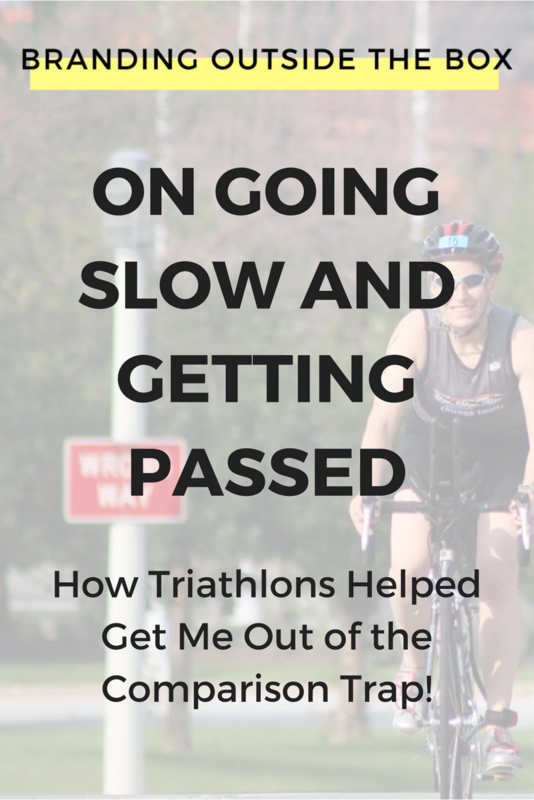 I had never run more than a mile without stopping, I was a cautious cyclist who never felt 100% comfortable on 2 wheels, and although I was a strong swimmer by triathlete standards, I still resided in the slow lane at swim practice. But I wanted to try something new and I wanted a challenge. And boy did I get one. Even after competing in dozens of races, including an Ironman Triathlon, I’m still not fast. I spend most Saturdays biking up Sheridan Road getting passed by every lycra-clad cyclist on the road. Occasionally, I’ll hear “on your left” and turn to see someone with a heavy mountain bike blow past me. But it doesn’t bother me. You have no idea what their story is. You have no idea how much time they spend training, if they’re a natural athlete, or if their bike cost $10K. They may do this ride every day while you only spend a couple days a week training. They may only be riding 10 miles that day while you’re pacing yourself for 30. They may have been a collegiate athlete while you only picked up the sport in the past few years. It’s ridiculous to compare yourself to others when you don’t have the whole story, but too often, we all fall into the comparison trap. We see others building their business at what seems like a rapid pace or getting promoted above us or landing new gigs that we’ve been working towards for years. But you don’t have the full story behind the career advancement. They could have investors funding their business growth or could have a contact that helped them get the job. We all have different start lines, so how can we expect to all finish at the same time? If we keep moving forward, we all end up at the same place. The other cyclists may reach the destination before me, but if I keep pedaling, we’ll all get there. And since I’m not a professional athlete, it really doesn’t matter if I get there after everyone else. What matters to me is finishing in my best time, not theirs. I see so many people that feel that they’re being left behind, that if everyone gets to the finish line before them, that there won’t be any more room. That is simply not true. If your goal is to reach a thousand downloads on iTunes, build your mailing list to 10K subscribers, or have a 5-figure month, the only thing that matters is that you reach your goal. It doesn’t matter if your peers do it first. If you’re always coming in first, then you’re not being challenged. At swim practice, the lanes are divided by speed, lane 1 being the slowest and moving up from there. Depending on who shows up that day, I’m usually firmly placed in lane 1, but if it’s between leading that lane or tailing lane 2, I will always move up. I’d rather try and keep up with the faster swimmers than lead a lane of slower swimmers that will never pass me. Because if I’m always in the lead, then clearly, I’m not being challenged. I’ve known many people who are most comfortable when they’re #1. They want to be a big fish in a small pond. But those fish don’t have room to grow. If you’re hitting your career goals with ease, then you’re not setting your goals high enough. If you’re the smartest person in the room, then, my friend, you are in the wrong room. This week, I encourage you to take a look at your career and how you approach it. Do you judge your own success based on the success of others? Are you constantly comparing yourself to others in your field? Are you truly challenging yourself? I’d love to hear your thoughts, so please share in the comments!